When it comes to the tax industry, the only constant is change. In fact, the U.S. tax code—which now totals nearly 4 million words—changed approximately 4,680 times between 2001 and 2012, according to the Taxpayer Advocate Service’s 2012 Annual Report to Congress. Individuals and corporations alike depend on qualified tax professionals to navigate complex tax laws, ensure compliance, and complete returns. How can you prepare to thrive in a field where rapid change is the norm rather than the exception? Consider the Online Master of Science in Taxation from Northeastern University. Ideal for professionals with backgrounds in finance, accounting, law, and business, our Online Master’s in Taxation degree aims to equip you with the graduate-level foundation to deliver innovative tax solutions. Choose from two tracks—Taxation of Entities or Taxation of Individuals. Learn from accomplished scholars and industry experts in taxation and business. Why Earn Your Master’s in Taxation Online? Increased tax enforcement, a renewed focus on audit practices, and heightened demands for transparency are fueling demand for individuals with credentials in tax planning and compliance, as well as in business consulting and financial planning. Accounting and finance professionals with an advanced understanding of current taxation practices and the ability to apply them effectively can deliver results and stand out from the competition. 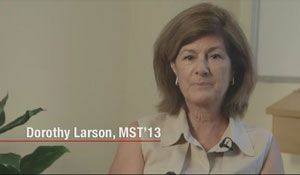 Whether you’re a tax veteran preparing for advancement or a motivated individual seeking to establish your place in the field, our Online Master’s in Taxation degree program can equip you with the knowledge, network, and confidence to do more, be more, and achieve more than you ever thought possible. Advance your expertise. Develop a comprehensive understanding of taxation and refine your tax planning techniques as you examine the industry’s latest trends, policies, and practices. Learn from the best. Interact with and learn from accomplished scholars and industry experts in taxation, finance, accounting, and business. Make lasting connections. Build strong relationships, exchange ideas, and talk about today’s taxation challenges with other experienced tax professionals. Prepare for leadership. Gain the foundation needed to effectively manage direct reports and help your clients make informed tax decisions with confidence. Study on your schedule. Benefit from the program’s innovative online format—accessible anywhere and anytime you’re connected to the Internet. Join a global network. Expand your professional network by gaining access to Northeastern University’s network of 235,000 distinguished alumni. How can you prepare to tackle the complexities of the Internal Revenue Code, stay current with tax industry trends, and cultivate the advanced leadership skills today’s employers demand? Earn your Online Master of Science in Taxation from a top-ranked and AACSB-accredited business school. 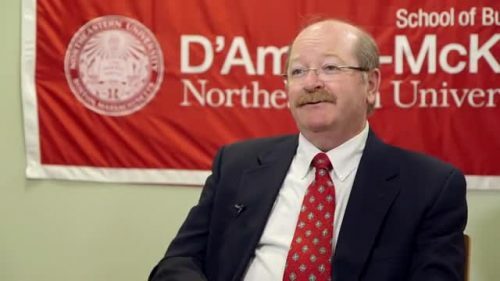 Northeastern University’s D’Amore-McKim School of Business has a distinguished history and reputation for excellence in research, teaching, and experiential learning. As a global leader in practice-based education, we foster a rich culture of experiential learning and entrepreneurial thinking that allows you to put ideas into action, discover your passion, and grow intellectually. Designed for working professionals, our Online Master’s in Taxation explores the legal and public policy aspects of taxation. The program’s highly immersive and forward-thinking curriculum aims to expand your knowledge of complex tax statutes, regulations, rulings, and the Internal Revenue Code by combining rigorous academics with real-world learning. In addition, the 100% online coursework enables you to earn your degree while balancing the demands of work and family. The faculty at Northeastern University’s D’Amore-McKim School of Business includes renowned PhD-level scholars with impressive credentials in finance, accounting, business, and taxation. In addition to bringing years of real-world client experiences and cutting-edge research into online classrooms, they also bring a steadfast determination to help you succeed. They’ll prepare you to examine taxation from multiple perspectives and challenge you to put academic theory into action.